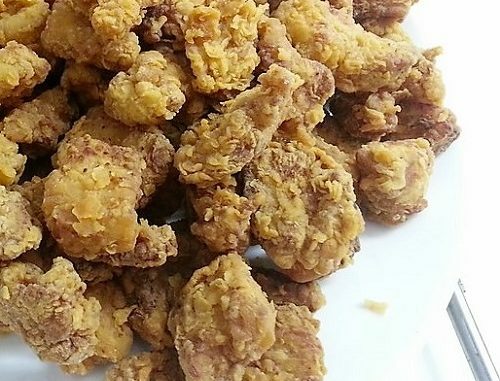 Fried chicken is a dish consisting of chicken pieces usually from broiler chickens which have been floured or battered and then pan-fried, deep fried, or pressure fried. The breading adds a crisp coating or crust to the exterior. 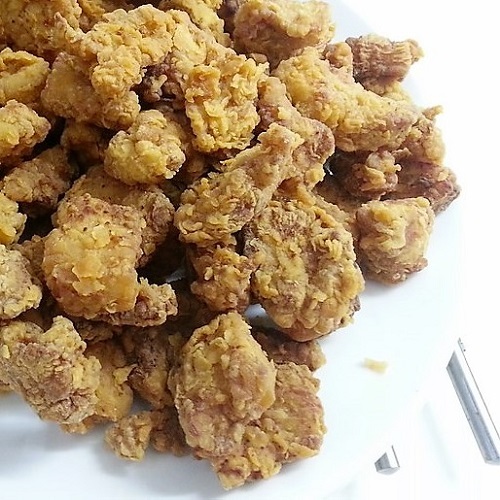 Usage of egg enables the coating of flour and makes it crispy when fried. In this recipe, I use pork as I will be making sweet and sour pork in the other recipe. See recipe here.